Two years ago, Margaret O’Neill brought her 5-year-old daughter to Children’s Hospital Colorado because the band of tissue that connected her tongue to the floor of her mouth was too tight. The condition, called being literally “tongue-tied,” made it hard for the girl to make “th” sounds. O’Neill’s first thought was that her daughter seemed a bit young to have her ears pierced. Her second: Why was a surgeon offering to do this? Wasn’t that something done for free at the mall with the purchase of a starter set of earrings? Only months later did O’Neill discover the cost for this extracurricular work: $1,877.86 for “operating room services” related to the ear piercing — a fee her insurer was unwilling to pay. At first, O’Neill assumed the bill was a mistake. Her daughter hadn’t needed her ears pierced, and O’Neill would never have agreed to it if she had known the cost. She complained in phone calls and in writing. Surgical ear piercings are rare, according to Health Care Cost Institute, a nonprofit that maintains a database of commercial health insurance claims. The institute could only find a few dozen possible cases a year in its vast cache of billing data. But O’Neill’s case is a vivid example of health care waste known as overuse. Arenas, 34, has a history of noncancerous cysts in her breasts, so last summer when her gynecologist found some lumps in her breast and sent her for an ultrasound to rule out cancer, she wasn’t worried. Arenas, an attorney who is married to a doctor, told them she didn’t want a mammogram. She didn’t want to be exposed to the radiation or pay for the procedure. But sitting on the table in a hospital gown, she didn’t have much leverage to negotiate. Arenas, sure she had been given care she didn’t need, discussed it with one of her husband’s friends who is a gynecologist. She learned the process could have been more simple and affordable. “I was taken advantage of because I was a captive audience,” says Christina Arenas, who felt pressured to agree to tests and procedures she didn’t need for noncancerous cysts in her breasts. She said she never got to speak to anyone. Her demand was routed to an attorney, who declined her request because there was “no inappropriate care.” She also complained to her insurance company and the Washington, D.C. Attorney General’s office, but they declined to help reduce the bill. Levy said there is a standard way to treat a suspected breast cyst that’s efficient and cost-effective. If the lump is large, as in Arenas’ case, a doctor should first use a needle to try to drain it. If the fluid is clear and the lump goes away, there is no cause for concern or extra testing. If the fluid is bloody or can’t be drained or the mass is solid, then medical imaging tests can determine whether it’s cancerous. Since then, she has her cysts drained without images in her gynecologist’s office for about $350. But Arenas said that on two occasions, she has used a needle at home to do it herself. (Doctors do not recommend this approach.) She admits it was an extreme choice, but at the time, she worried she would be subjected to more unnecessary tests. In a brick-and-glass office park just outside Roanoke, Va., Missy Conley and Jeanne Woodward have battled on behalf of hundreds of patients who believe they’ve been overtreated or overcharged. The two work for Medliminal, a company that challenges erroneous and inflated medical bills on behalf of consumers in exchange for a share of the savings. If there is a billing dispute, it can take months of phone calls and emails to get a case resolved, said Conley, who gained an insider’s knowledge during years working for insurance companies. “It’s sort of this perfect storm where no one is really evil, but the net effect is predatory,” Saini said. 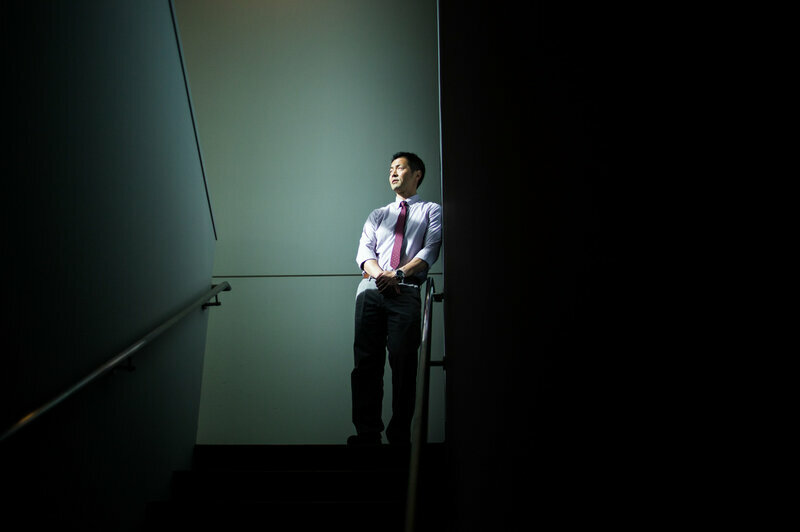 “We really don’t have good standards and a good discussion going on about who should receive ICU care,” said Dr. Dong Chang at the Harbor-UCLA Medical Center campus in Torrance, Calif.
And that’s just the problem. The hospital’s $1,877.86 bill for the ear piercing waswithin industry standards.